The Giants and Dodgers are guaranteed to play each other in at least one postseason series this year: the California League Championship Series. 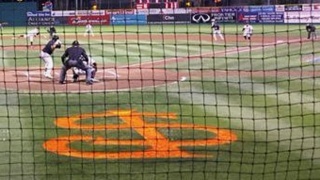 The Class A Advanced San Jose Giants knocked off Visalia in a five-game semifinals series and will move on to the championship series that begins Thursday night against the Dodgers’ affiliate, the Rancho Cucamonga Quakes. Games 1 and 2 of the best-of-5 series are slated for Rancho Cucamonga with the remaining games to be played at San Jose Municipal Stadium. #SJGiants headed to the #ChampionshipSeries & will take on @RCQuakes! Games 1 & 2 in Rancho Thurs.- Fri.! #Muni hosts Games 3-5 Sat.- Mon. !